Are you interested in meeting face to face with life science professionals at UC Davis Medical Center? Lab product suppliers are invited to attend the upcoming BioResearch Product Faire™ events on Wednesday, February 25, 2015 and Tuesday, June 2, 2015. The product vendor shows are expected to attract over 135 life science professionals from UC Davis Medical Center and surrounding research facilities. Last year, the BioResearch Product Faire™ events at UC Davis Medical Center attracted close to 300 attendees combined from both events. From the 300 attendees, 84 were purchasing agents, professors, and post docs, and 26 were lab managers. The researchers came from 16 different research buildings and 25 on-campus departments. Researchers were granted $53 million in awards towards stem cell research. 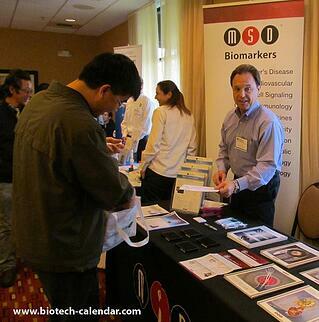 We invite you to join other top lab suppliers in bringing the best new tools and technologies to Sacramento-area researchers in 2015 at the UC Davis Medical Center BioResearch Product Faire™ events. If you are interested in the Sacramento area life science vendor show, check out these other events nearby.